Monday truly is the new Thursday in Savannah. 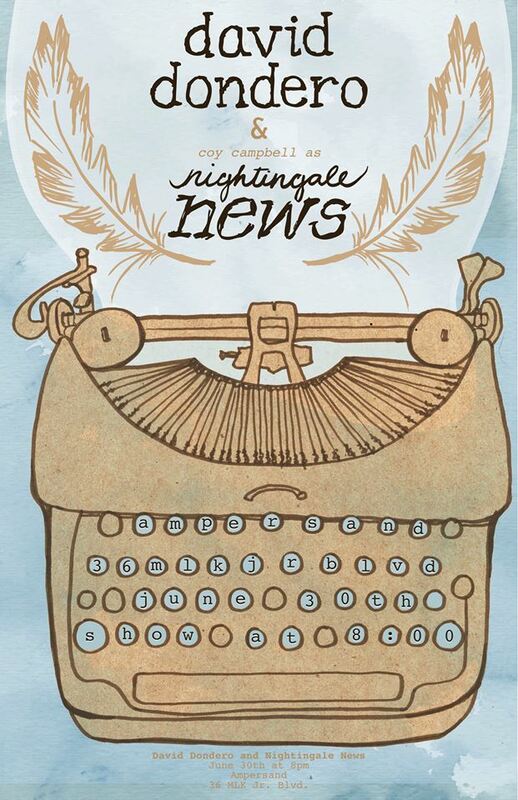 Tonight, extend your weekend with an unmissable performance from critically acclaimed singer-songwriter Dave Dondero and the debut of Coy Campbell’s solo project Nightingale News. Named one of the 10 Best Living Songwriters by NPR in 2006, Dondero joined the ranks of Bob Dylan, Tom Waits, Bruce Springsteen, PJ Harvey, and other timeless legends whose faces one often finds plastered on the walls of college dorms. Neat thing about Dondero is, he’s an incredible talent that’s still accessible and affordable to see live. Coy Campbell has been playing double bass in Waits & Co. since he returned to his hometown of Savannah; tonight’s performance (under the moniker Nightingale News) serves as an introduction to his own carefully crafted, eerily ruminating folk ballads. Campbell has been working on an LP, Bell Rope, with Athens producer/musician/all-around-talented-guy Suny Lyons (he recorded Thugs & China Dolls by Savannah’s Dare Dukes and performs in hope for agolden summer); a 4-song EP with some of the results will be available exclusively at tonight’s show. Tonight’s show will also be a great opportunity to experience Ampersand’s venue space. In addition to individual tickets ($10), those interested can spend $50 for a private table, two tickets, and complimentary bottle of wine.